Boundary disputes are common in California real estate, in all cases- residential, commercial, and agricultural properties. Experienced Sacramento and Yolo real estate attorneys often see cases of adverse possession and prescriptive easement claims. Another theory that is occasionally used is the doctrine of boundary by agreement. In this scenario, when the parties are not sure of he location of the boundary, they agree on a location and live with it. Recently in San Luis Obispo County, the parties accepted a boundary location for over sixty years. But there never was an agreement to set it there, so the true boundary was the legal boundary set out in the deed. Testimony at trial was that an old cattle fence was located where the current fence is, and the two neighbors cooperating in replacing it with a deer fence. The assumed that the fence was on the boundary. 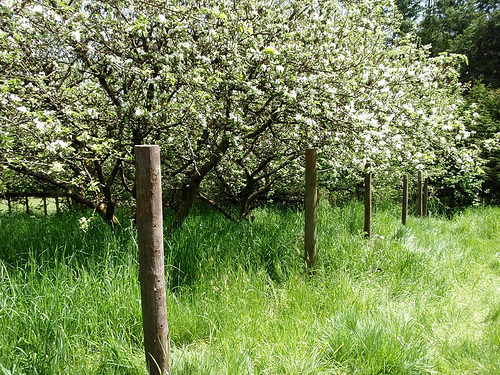 Subsequent surveys revealed the fence was not on the border, and that the orchard encroached on the neighboring property. 3. Acceptance of the line in its agreed location for a period lasting the statute of limitations. Here the court found that there was no uncertainty among the land owners- they were certain that the old fence was on the line, and so was the new fence which replaced it. Though they acquiesced in the location of the fence for many years, there was no evidence of an actual agreement. What the orchard owner really needed was someone to testify that there had been uncertainty as to the property line, and an agreement was reached to fix it. But when the fence was installed over 60 years ago, the owners at the time are probably no longer around to testify.